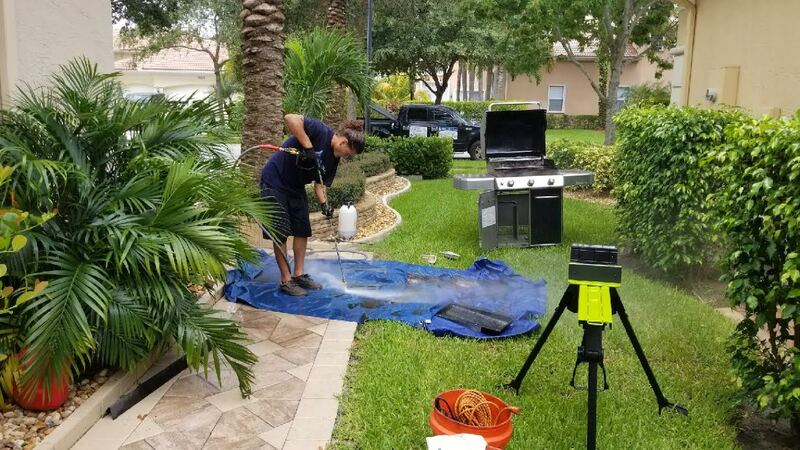 When it comes to BBQ Grill Cleaning, Grill Tanks Plus has you covered. 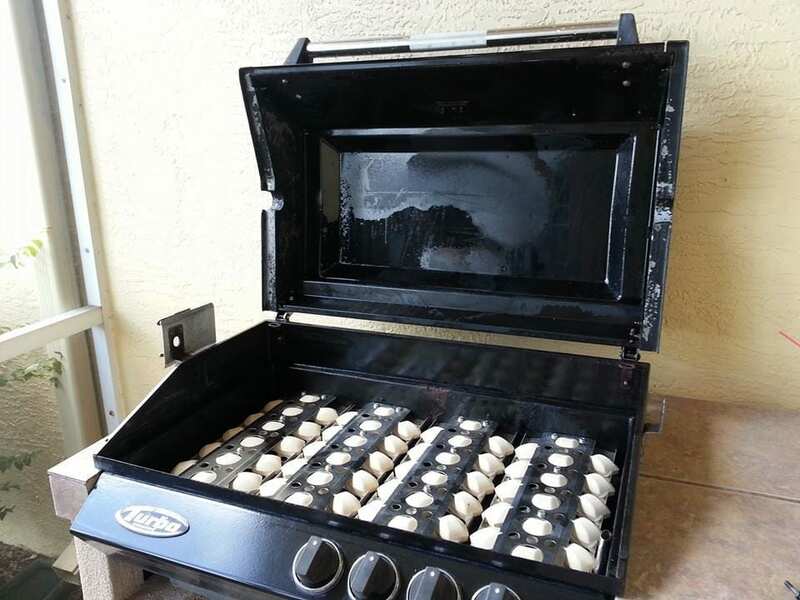 Grill Tanks Plus - Raising BBQ Grills from the dead. 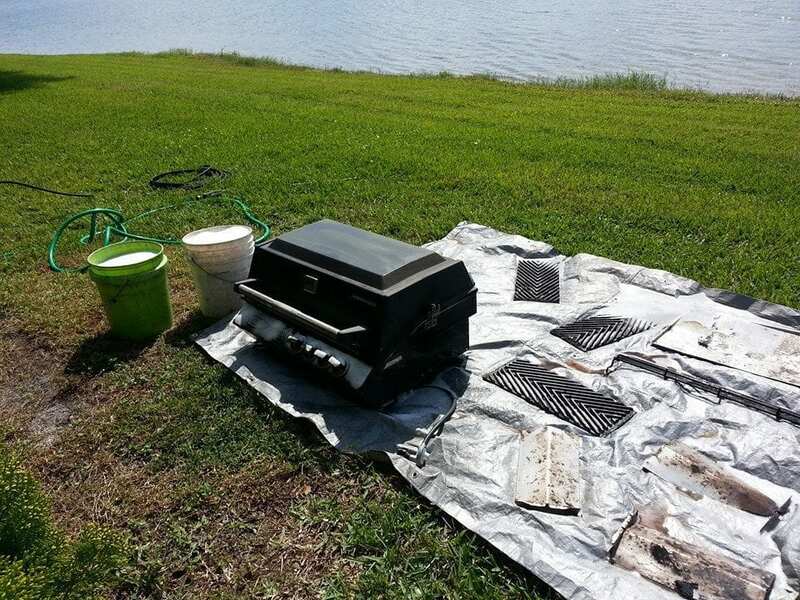 Sometimes Grills need more than just a cleaning. 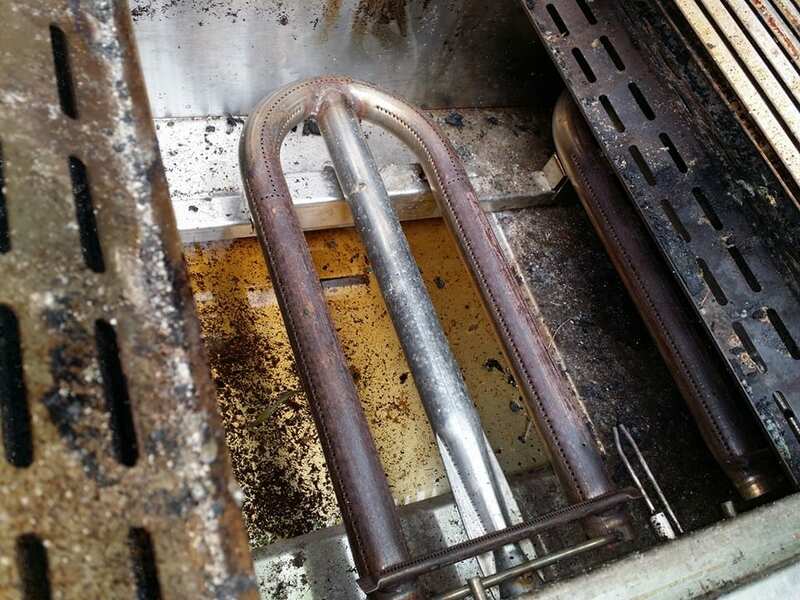 A part of the Grill Tanks Plus cleaning process includes repair diagnostics, and some Grills present quite the challenge. 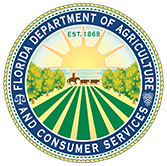 We always assess the situation on a case by case basis. 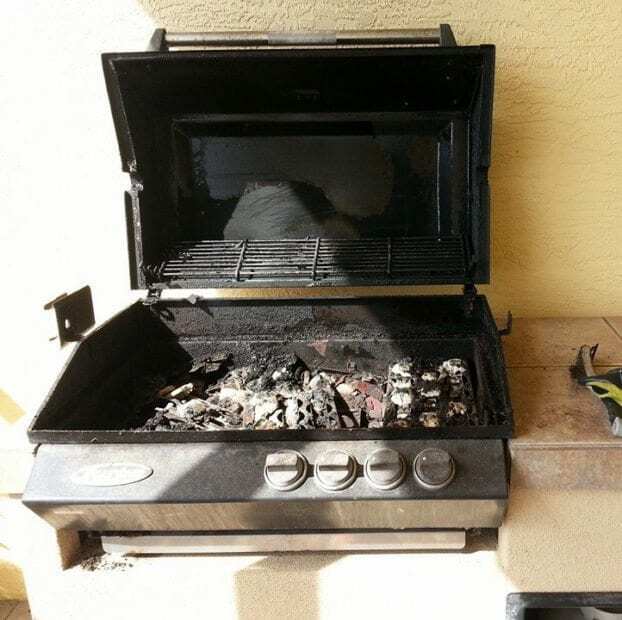 In this example, you can see a grill that has been virtually abandoned and seemingly doomed for the garbage. But we saw something different. 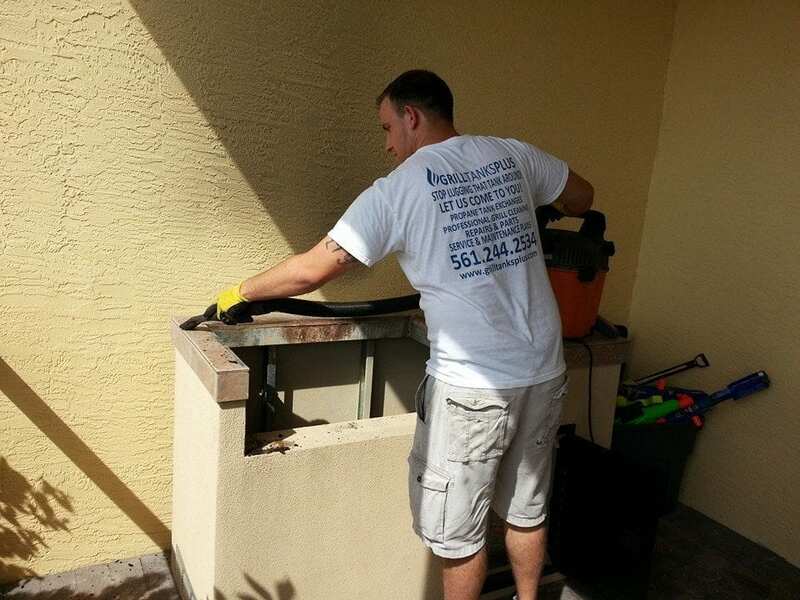 We make sure to work as clean as possible and never leave a mess behind. Upon having pulled the entire cook-box out we brought it to a suitable work area and salvaged any parts that were still good. There weren't many in this case. For those parts that were good, we begin by refurbishing them using proprietary methods derived from years of experience. We never just brush aside debris, we get rid of it altogether and make sure the cooking station is clean and ready for reinstall. We also take this time to inspect the entire outdoor kitchen island for any critters that may have made it their new home. Once the island is ready and the cook box and parts cleaned up, we begin reinstalling. And now for the new parts. This particular grill needed all new briquets. 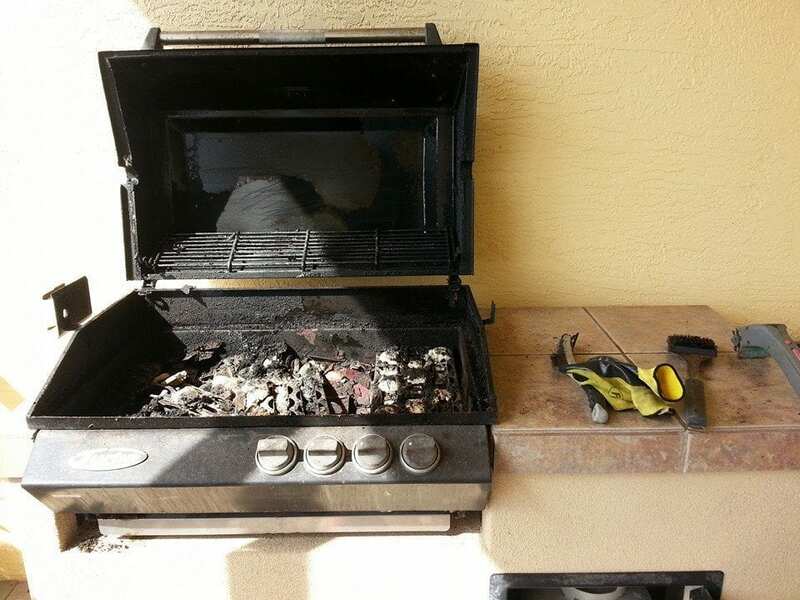 We use only the highest quality parts as recommended by the manufacture of the grill. 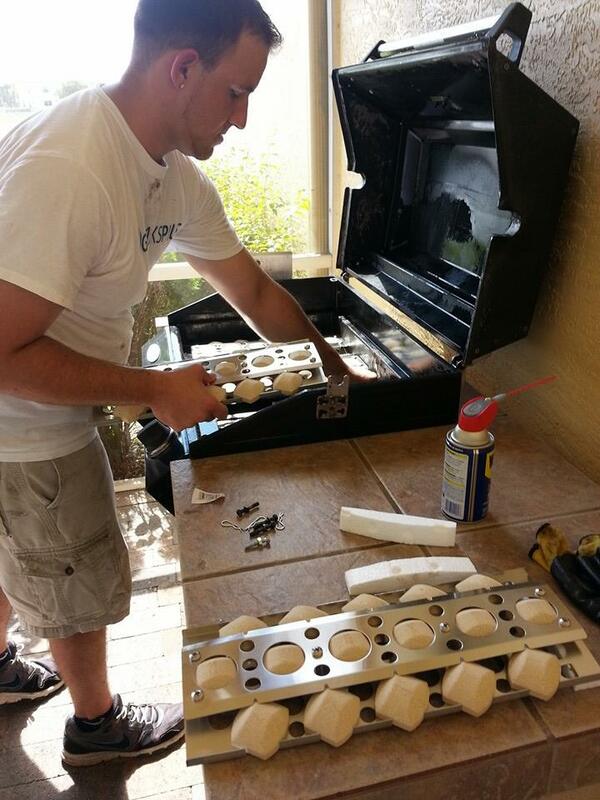 Once all of the parts are installed, we then thoroughly test the grill to make sure everything is in order. Upon having deemed the job done, we make sure the user knows exactly the proper way to use it and we turn it over. 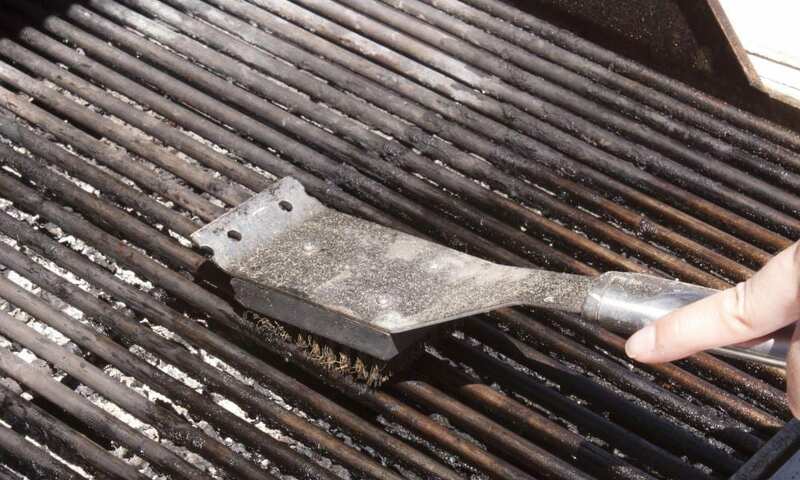 READY FOR A GRILL CLEANING?